Terry Meckstroth has been a resident of Jessamine County for over 42 years. He has 37 years of public service to Jessamine County as a teacher, administrator and magistrate. “It’s my distinct honor and privilege to represent the 3rd District and the most important part of my job is helping my constituents with their concerns.” He currently assists in overseeing matters before the Court that involve Planning and Zoning. 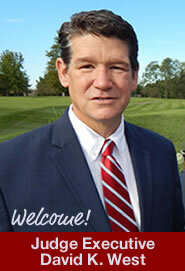 He has been actively involved in the Camp Nelson Heritage Park and High Bridge Park. 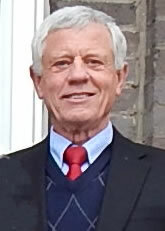 During his terms in office he has helped secure funding for the following: E-911, Paramedic Program, Keene Community Center, County Wide Clean-up, Recycling Center, Camp Nelson Heritage Park, High Bridge Park, Aquatic Center, Senior Citizens Center, EMS Stations, County Fire Stations and Annual Blacktopping. Terry is married to Joanne Meckstroth. They have four children: Teresa, Missy. Laurie and Jonathan. He can be contacted by the Jessamine County Fiscal Court, 101 North Main Street, Nicholasville, Ky. 40356, or by e-mail at tmeckstroth@jessamineco.com or by phone at (859) 797-1291.